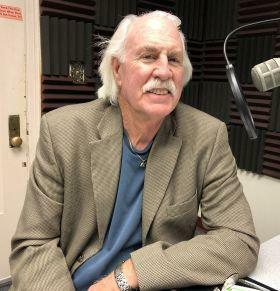 An interview with Dr. Paul C. Maxwell, artist and member of the Artists of Picacho Hills. 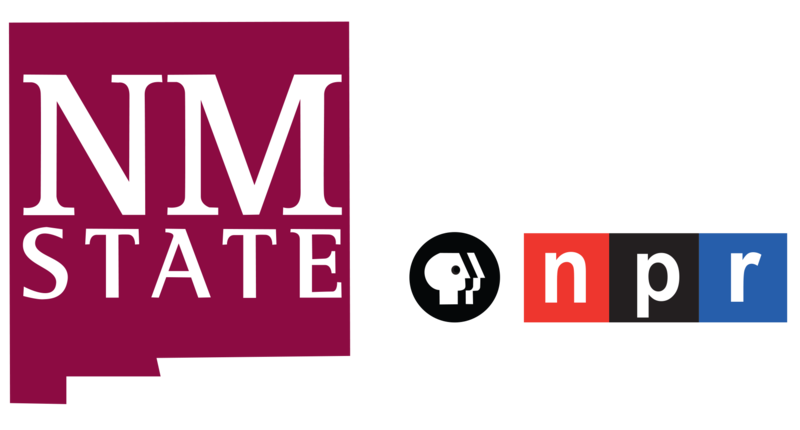 Dr. Paul Maxwell at KRWG FM studios. 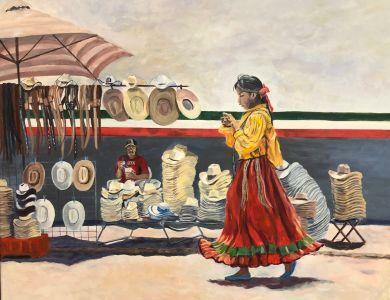 "Indian Girl With Hats" by Dr. Paul Maxwell. Las Cruces, NM – On this edition of PUENTES a la comunidad, bridges to the community, host Emily Guerra met with Dr. Paul C. Maxwell, artist and member of Artists of Picacho Hills, to talk to us about an art benefit, “Holly Day House” artistic creations to benefit Mesilla Valley Hospice, Friday, November 16th from 10 a.m. to 5 p.m., and Saturday, November 17th from 9 a.m. to 5 p.m. at St. Paul’s United Methodist Church, 225 W. Griggs Avenue, Las Cruces. Parking is South of the church off May Avenue. A sampling of the artist’s creations are available to view online at www.artistsofpicachohills.com; and on Facebook: Artists of Picacho Hills. 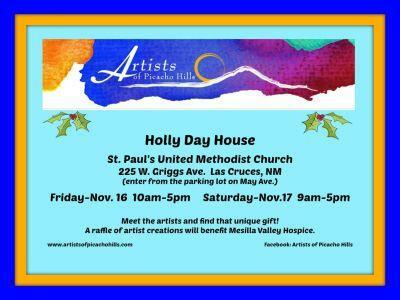 What can you expect to find at “Holly Day House?” Unique gifts for the holidays - paintings in a variety of media – acrylic, oil and watercolor, sculptures, metalwork, ceramics, fused glass, jewelry, drawings, quilting, gourd work, reed weaving, Excel graphic art, and a raffle of artists creations and silent auction.